On Feb. 26 the Austin Independent School District (AISD) Board of Trustees voted 7-2 in favor of changing the names of five AISD schools and facilities named after Confederates. .The schools and facility that will undergo name changes include John T. Allan Facility, Zachary Taylor Fulmore Middle School, Sidney Lanier Early College High School, John H. Reagan Early College High School and Eastside Memorial Early College High School at the Johnston Campus. Allan, Fulmore, and Lanier served in the Confederate army, while Reagan was the Confederacy’s Postmaster General and Johnston served as a general in the army. There were many arguments from both sides to consider, but nonetheless several brought up the issue of the facilities’ names. 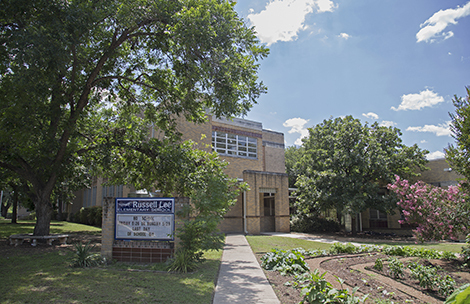 This resulted in the AISD Board’s decision to rename former Robert E. Lee Elementary School in March 2016. AISD board member Cindy Anderson, who voted on the issue, said she felt some pressure due to similar measures being enacted in other cities across Texas. Advocates for name changes cite multiple issues. Given that many hate groups have adopted Confederate flags to represent their cause, there is concern leaving the names will disrupt school environments and make minority students feel unwelcome. AISD Trustee Yasmin Wagner said she was in favor of the name changes because she believes they represent the vestiges of resistance to desegregation efforts. In her view, changing the names is a testament to civil rights progress. Alumni weighed in on the significance of these names to their high school years. For instance, Lanier Alum Terry Ayers said students were told Lanier was a famous poet, not a Confederate soldier. Other community members said they thought it unnecessary to deny the accomplishments of the people honored simply because they were Confederates. A Reagan Early College High School alumna, Charsla Bentley, attended the meeting to argue against renaming the schools. Money is also a factor. It could cost upwards of $77, 000 to change the name, logos and signage of each school. Many who opposed changing the names viewed the matter as a nonessential one since AISD is around $30 million short in funds. Despite around 50% opposed the name change on an AISD survey, many board members expressed their hope that this decision will better reflect the values of the city of Austin. “I think not [changing the names] would be contrary to what we’ve said is our core values, and how much we value the diversity of our students and our diversity,” Wagner said.